In need of some woodwork? Chances are you’ll want to hire a Wakefield, MA carpenter. Carpenters work with all types of wood and can specialize in many different areas, including framing, finishing and custom-made furniture. Make sure you choose the right Wakefield carpenter for your job by asking plenty of questions, viewing their past work and reading reviews. I established this company in 1986, after more than ten years working in the field of home building and remodeling. My company specializes in renovating and remodeling, historic home restoration, custom home building and both minor and major repair work. Additions, kitchens, baths, roofs, exterior and interior restoration are but a few examples of the services we provide, all with an eye on quality workmanship and attention to the customer's needs. In the more than twenty years since I created this company, we continue to pride ourselves on our reliability and dedication to each individual contract which is why we have an excellent reputation and a long list of satisfied customers. My company is registered and licensed as well as insured. In addition, all our work is guaranteed. Should you have any questions, please feel free to contact us. From the age of fourteen, I spent all my high-school summers working for my dad. His construction company, R.J. Doiron Construction, filled the important needs of growing families who wanted to expand their post-war capes with shed dormers, and their ’60s ranches with second levels. The work was hard, hot, and long—but it toughened me up and taught me how to build and develop a good work ethic. I will always be grateful for the experience. With all my dad’s lessons under my tool belt, I sailed through vocational high school carpentry on a breeze and graduated at the head of my class. Continuing to work with my dad’s company, I fine-tuned my skills and expanded my knowledge when we worked on some beautiful older homes. At about the same time that my dad took early retirement I began my career in the field of high end building on the North Shore of Boston’s golden coast. I worked successfully for several companies, learning as much as I could from each, but there came a time when I felt that I really wanted to do things my way. 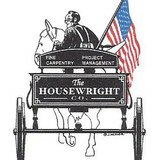 On April 1, 1997, I established Michael Doiron Housewright. Since that day, our company has grown steadily. With each job we complete, our excellent reputation grows and our list of satisfied customers gets longer. Two years before I started M.D.H., my wife and I had bought a circa-1750 Cape Cod house. It was in such bad shape that most people considered it a tear-down (my dad offered us some matches). After I removed the many layers of drywall, acoustical ceiling tiles, linoleum, and hollow core doors I found that the bones and even some trim, flooring and plaster could be saved, restored, duplicated, and added to. All my work caught the eye of a local architect who recommended me for the high-profile restoration of a first-period saltbox on Argilla Road in Ipswich. I completed the project and was pleased and proud to win the "Mary Connelly Preservation Award". I even appeared on This Old House television show and in an article in their magazine! This project was the jumping-off point to countless more challenging, fun, and rewarding projects. Over the years we have built many major renovations, design/build homes, additions, garages, and barns. The first twenty years in business left me with a lot to be proud of and I look forward to another twenty years of success. Some say I make it look easy, and some days it is. On the days that it isn’t, we learn something new. I hope you enjoy the valuable services we offer. 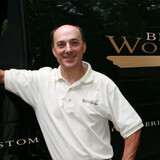 Chris Broughton of Broughton Woodworks has 40 years of finish carpentry and cabinet making experience. He can create a wide range of custom designed pieces for any room in your home. Each project (large or small) is delivered and installed on time, within budget and to the highest degree of standards. Whether you're looking for a built-in entertainment center, a fireplace mantel or a new staircase, Broughton Woodworks will work with you to fulfill your vision! 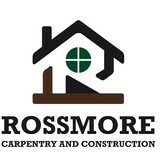 We are a full service construction company. We specialize in high end custom home builds, high end custom kitchen and bath renovations, large scale complete custom home renovations, excavation, foundation, and site work, and outdoor living spaces including decks and patios. We do everything from foundation to finish! 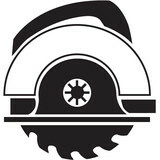 Tebou Carpentry & Woodworking is a family owned and operated carpentry business servicing the entire Northshore. We are located in Amesbury as well as Gloucester. We do all jobs from big to small, including remodeling, kitchens, bathrooms, small additions as well as decks, porches, interior/exterior repairs, and handyman projects. We also do a variety of woodworking projects including custom finish work, furniture and more. We enjoy being the "go to" company for our clients and take pride in being part of a great team that commits to establishing relationships and providing quality work. Over four decades, Pinecrest Builders owner Andrew Gallagher, along with our highly-skilled and trustworthy team, have created close relationships with families and businesses throughout the Worcester area. Our hands-on approach ensures that trust, dedication, quality workmanship and teamwork are at the forefront of each and every project. Pinecrest Builders offers a one-of-a-kind design service through our one-of-a-kind Pinecrest Design Center for kitchens, bathrooms and beyond! Utilizing the latest industry software and a network of local suppliers and manufacturers, our dedicated and experienced design professionals allows us to handle the entire remodeling process in-house. Hundreds of home and business owners can attest to the quality, care and understanding that Pinecrest Builders instills into each and every project. Established in 2012, Walsh's Fine Woodworking proudly serves the Greater Boston Area with premier cabinetry and woodworking services. Though we were established in 2012, Thomas, the owner, has over 14 years of professional experience in woodworking in Boston and is educated and affiliated with City and guilds. As a company, our number one goal is to make you happy. We do this by working closely with you from start to finish. We will work hard to ensure the job stays within the budget you put forth as well as finishes on time. In order to satisfy the financial and time limitations, we will not however cut corners. When we build something for you, we want to make sure it is done correctly and stands the test of time. The last thing we would want is for something we build to immediately fall apart because we were in a hurry to get the project done. Everything we produce is handmade and handcrafted by the most stringent quality standards. We do not want you settling for anything less than what you deserve. At Burr Brown Design I have combined my passion for art, architecture, woodworking, and landscaping to create unique and functional designs. My college studies were a mix of Industrial Technology and Landscape Design, and I earned my BSLA degree from the University of Massachusetts in Landscape Architecture. The Underground Carpenter is owned and operated by Antonio "Devon" Thibeault (pronounced "Tee-bow”), a custom cabinet and furniture maker. I work closely with each client to determine your specific needs—to get a feel for your tastes, and how you imagine the final result. Then, I design a combination of style, form, and function that not only fits your particular space, but also fulfills your vision and needs. At St. George Construction we strive to build the absolute top quality projects we can regardless of size or detail. We want our customers to have the best of us day in and day out. We thoroughly enjoy incorporating new and renewable technology with old techniques and the highest of standards to produce the finest quality projects possible. Our ultimate objective is for our customers to love their final project and to look back on our projects with a sense of confidence, enjoyment, and trust. As carpenters and homeowners, we recognize the value of home. Grain Wood Shop is a full-service custom woodworking shop located in Boston. Our focus is on designing, building and installing custom specialty wood products, cabinetry and built-in units for both residential & commercial clients. We have the latest design technology and a fully equipped machine shop to fabricate any type of wood product. Our goal is to enhance a space by building custom pieces and making the space feel your own. We use all kinds of materials in our projects from hardwoods, steel and glass to reclaimed wood and live edge timbers. This is what makes Grain and our projects unique. Our craftsmen are experienced professionals having worked on a wide range of projects. Grain is a proud member of the Cabinet Makes Association and the Architectural Woodworking Institute. Standing behind our slogan; Honest, Quality Workmanship. A.J. McCullough Carpentry is a licensed & insured remodeling company in Oxford, MA that specializes in interior room remodels, and custom tile and woodwork . We work with trusted professionals to get the parts done in your room remodel projects that we specifically cannot do - electricians, plumbers, plasters, etc. - we only work with the best so you don't have to stress about it. From concept and design to completion. 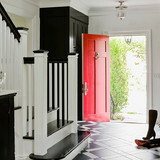 We have the skills to complete all aspects of a room remodel. Not sure what colors? What decorations? What light fixtures? Don't fret. A.J. McCullough Carpentry can cover any of those concerns and create the perfect room for you. We can be your interior designer and carpenter, all in one. Servicing the central MA area, but not limited to this area. A.J. McCullough Carpentry is also licensed & insured in CT.